Erykah Badu headlining a festival in Long Beach? Count us in. The highly anticipated one-day Smokin Grooves showcase at the Queen Mary was the follow-up to Smokers Club Fest, which took place just one month prior. The beauty in this lineup is the selection of amazingly talented singers, songwriters, rappers, producers, DJs and all the in-between. Each artist on the flyer was capable of delivering the soulful, feel-good vibe that music lovers want. Fans could choose among the festival grounds’ three stages, with plenty of downtime to go back and forth. The turnout for H.E.R.’s set was insane, as the mysterious singer took control of the main stage with her hit record “Best Part” featuring Daniel Caesar. Meanwhile, the Smokin’ stage on the opposite end was blessed by the likes of Quin, Lion Babe, Masego, Brasstracks and Smino. Highlights included Khalid dancing his heart out to Xavier Omär’s “Blind Man” and a captivating, smoke-filled, headlining set by R&B duo THEY. Anderson .Paak graced the Free Your Mind (main) stage in the late afternoon with his band NxWorries and brought the party in an instant. The Roots came on shortly after and even brought out the O.G. himself, Busta Rhymes, as a surprise guest. 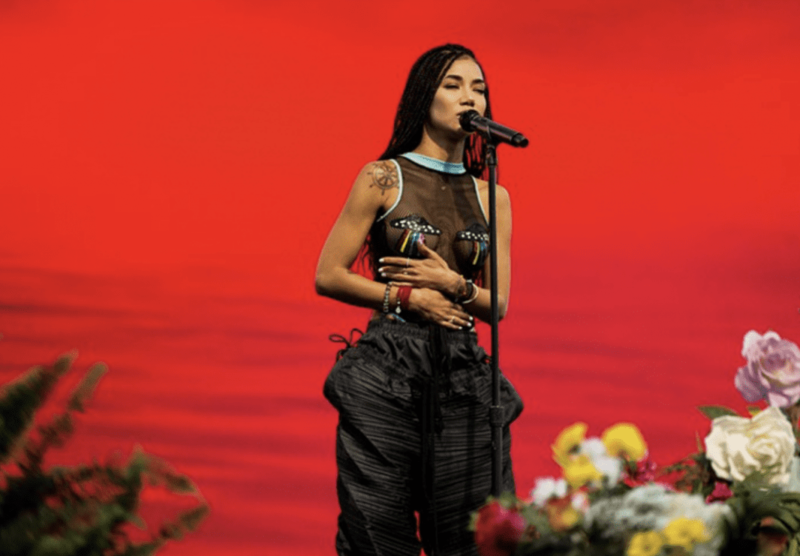 Jhene Aiko followed, as she threw flowers into the crowd and soothed them with her one-of-a-kind vocals. Miguel did not miss a beat as he performed crowd favorites such as “Come Through and Chill,” “Skywalker,” and a lovely mash-up of “Do You…” Erykah Badu was the grand finale, the reason every other artist on the bill stayed until her 10 p.m. set time. Being the veteran festival headliner she is, the Godmother of Soul made every minute of her hourlong set count, adding a quick side bar that “Badu-ism” was meant for all the ’90s babies. Whether you’re a new fan or an old fan, songs like “On & On,” “Window Seat,” and “Out My Mind, Just in Time” reminded you of Badu’s imprint on music for generations to come.